Microsoft has unveiled the latest addition to its LifeCam range of webcams - the new LifeCam Studio. Featuring a 1080p sensor, Microsoft is claiming that this is twice as large as the current 720p sensors on the market - although most video calling services won't currently be able to support the higher-resolution pictures as yet. The new HD sensor will offer 16:9 widescreen format images, which Microsoft states will make it easier to see everyone on the video call, as well as improving the lighting conditions. "Whether the sun is streaming in the window or the user is lit only by the light from the computer monitor, LifeCam Studio brings friends and family closer than ever before," Microsoft parps in its press release. With the advent of video calling on mobile phones set to increase and include PCs, it's likely that video chat is likely to continue to rise in popularity, although whether Full HD is necessary at the moment is slightly debatable. 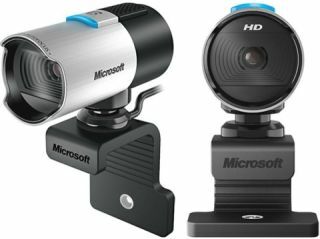 Microsoft has put these new LifeCam Studio webcams on UK release from today, with a price of £89.99.